How are your New Years resolutions going? One of mine was definitely about prioritizing my health and eating better. 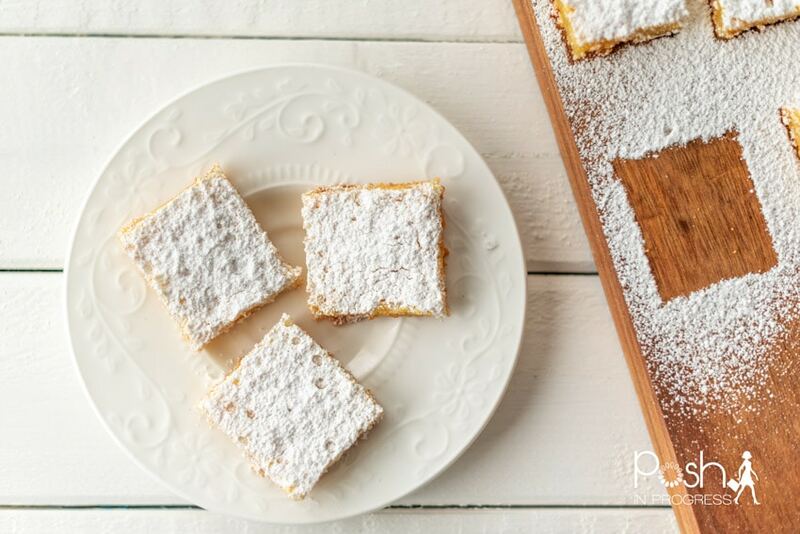 Thus, although I wantmy favorite lemon bars to make , I thought it was time to try a lighter version. 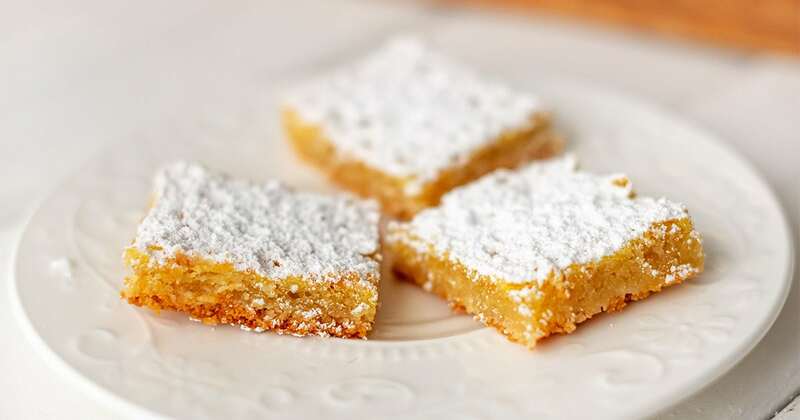 That’s where these keto lemon bars come in. 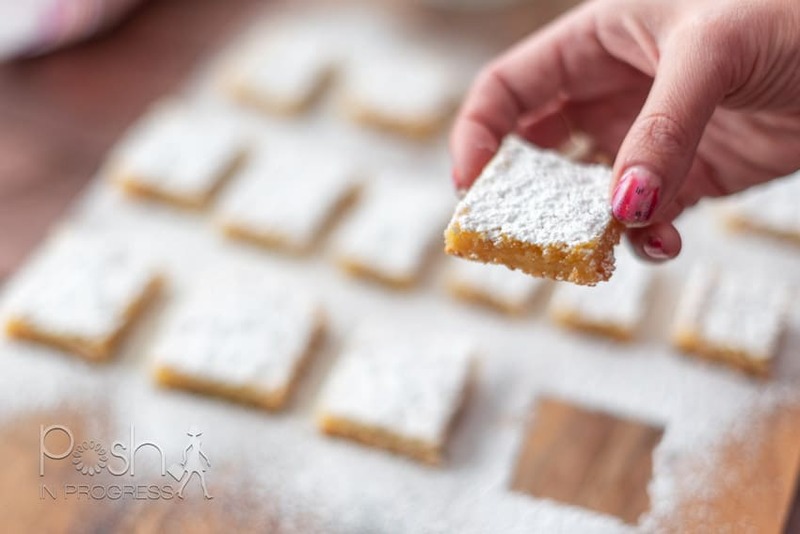 When I was searching for a lighter and healthier lemon bar recipe,I found several different keto lemon bars. I actually tried two different recipes. The first one (and first on google) was actually a total flop for me. It did not hold together whatsoever. The crust completely broke and crumbled and the filling was way too much for the crust to handle. Since that one didn’t work at all, I kept searching and found a few others that I combined to come up with this one. What I found while looking was that most of the recipes had a lot of commonalities. 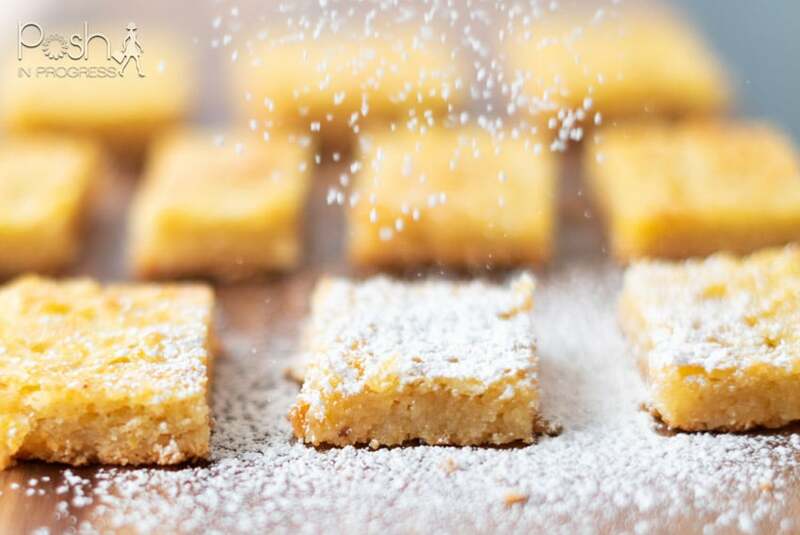 They all use either almond flour or coconut flour, butter, lemons, eggs and a sugar substitute. The differences I did find were related to other add-ons, such as baking powder, vanilla, salt, gelatin, etc. Preheat oven to 350 degrees. Butter or use cooking spray to prepare an 8×8 baking dish. Mix butter, 1 cup and 2 tablespoons almond flour, 2 tablespoons sugar substitute. Press evenly into a baking dish. Bake for 15 minutes. Then, let cool for 10 minutes. In a bowl, zest 1 lemon, then juice 1-2 lemons. You will need 1/4 cup of lemon juice. Add 2 eggs, 1/3 cup sugar substitute, 1/2 teaspoon baking powder, and 1 tablespoon almond flour. Combine to make filling. Pour the filling onto the crust & bake for 20-25 minutes, until cooked through and starting to brown. 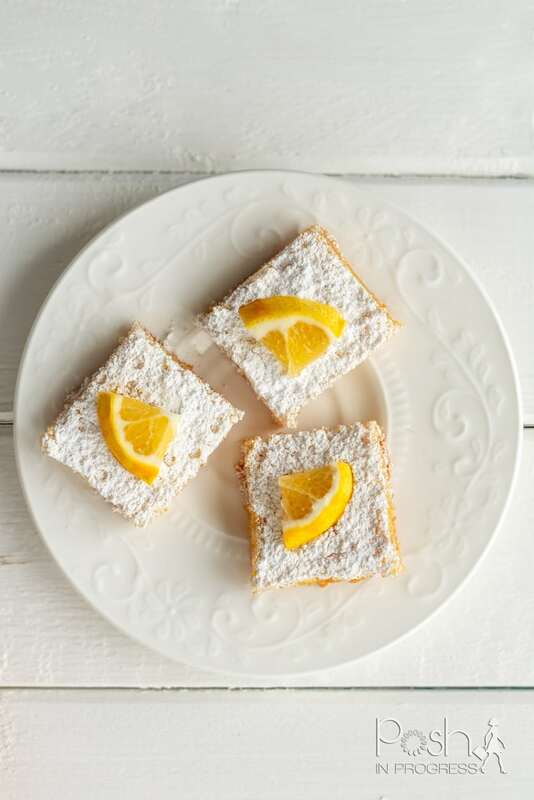 Serve with lemon slices and a sprinkle of powdered sugar or powdered sugar substitute (optional). Note: These bars were still pretty moist even after letting them brown quite a bit. I left them in a container on the counter with the lid cracked, and they became firmer and drier with time, which I preferred for a drier texture.